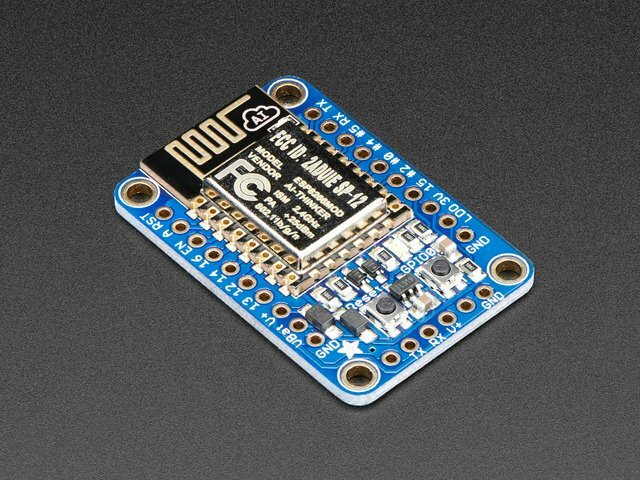 This ESP8266 breakout has a ton of pins available, compared to the mini ESP-01 module. When programming the breakout in Lua or via the Arduino IDE, you can control these I/O pins to light up LEDs, read buttons, talk to sensors etc. 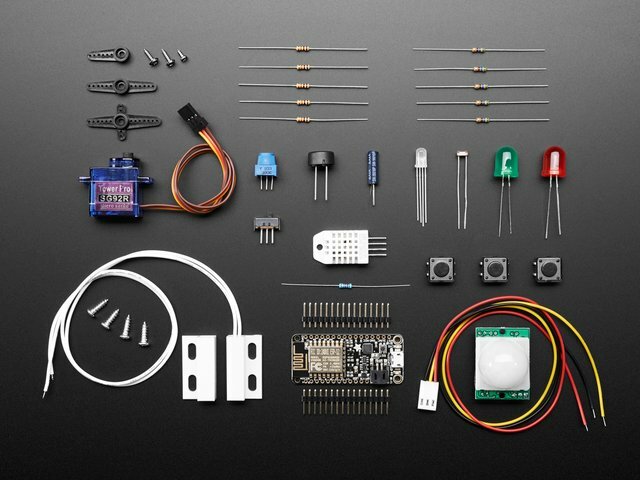 There's also a bunch of pins for power and control. The ESP8266 requires 3.3V power voltage and peaks at 500mA or so of current for small periods of time. You'll want to assume the ESP8266 can draw up to 250mA so budget accordingly. To make it easier to power, we put a high-current-capable 3.3V voltage regulator on the board. It can take 3.4-6V in but you should stick to 4-6V since the ESP8288 has high current usage when WiFi is on. 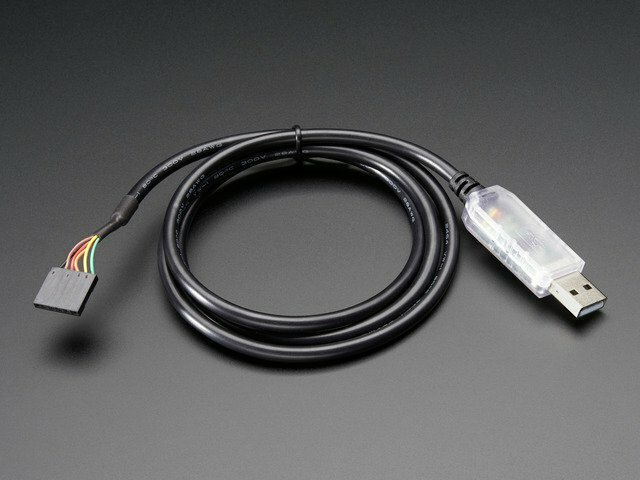 There are two inputs for the regulator, V+ and VBat. Both have Schottky diodes so you can connect both at different voltages and the regulator will simply power from the higher voltage. The V+ pin is also on the FTDI/serial header at the bottom edge. We recommend connecting your LiPoly or AA battery pack directly to VBat and then keeping V+ unused for when an FTDI cable is attached. 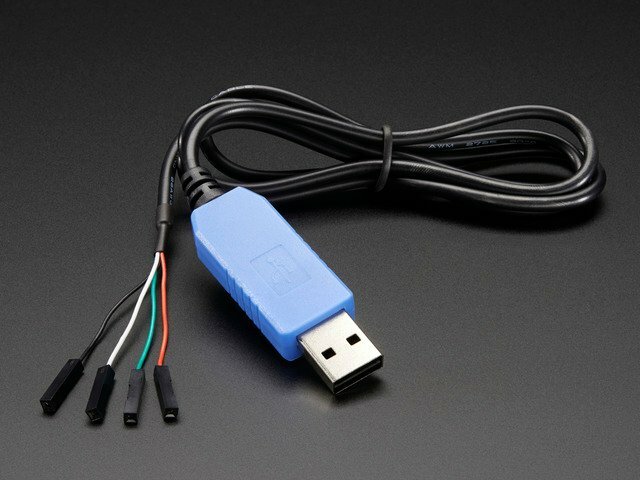 You can also use the extra V+ pin for getting the 5V USB power from the FTDI connector for servos, NeoPixels, etc! RX and TX are the serial control and bootloading pins, and are how you will spend most of your time communicating with the ESP module. This breakout has 9 GPIO: #0, #2, #4, #5, #12, #13, #14, #15, #16 all GPIO are 3.3V logic level in and out, and are not 5V compatible. Read the full spec sheet to learn more about the GPIO pin limits, but be aware the maximum current drawn per pin is 12mA. GPIO #0, which does not have an internal pullup, and is also connected to both a mini tactile switch and red LED. This pin is used by the ESP8266 to determine when to boot into the bootloader. If the pin is held low during power-up it will start bootloading! That said, you can always use it as an output, and blink the red LED. GPIO #4 and #5 are used for I2C SDA and SCL (respectively) by default on Arduino IDE. We recommend that if you are using Arduino, connect your I2C devices there! Rev A of this board had GPIO #4 and #5 swapped (the modules changed pinouts on us) so if #4/#5 aren't working for you, try swapping! RST - this is the reset pin for the ESP8266, pulled high by default. When pulled down to ground momentarily it will reset the ESP8266 system. This pin is 5V compliant. This guide was first published on Apr 24, 2015. It was last updated on Apr 24, 2015. This page (Pinouts) was last updated on Apr 22, 2019.